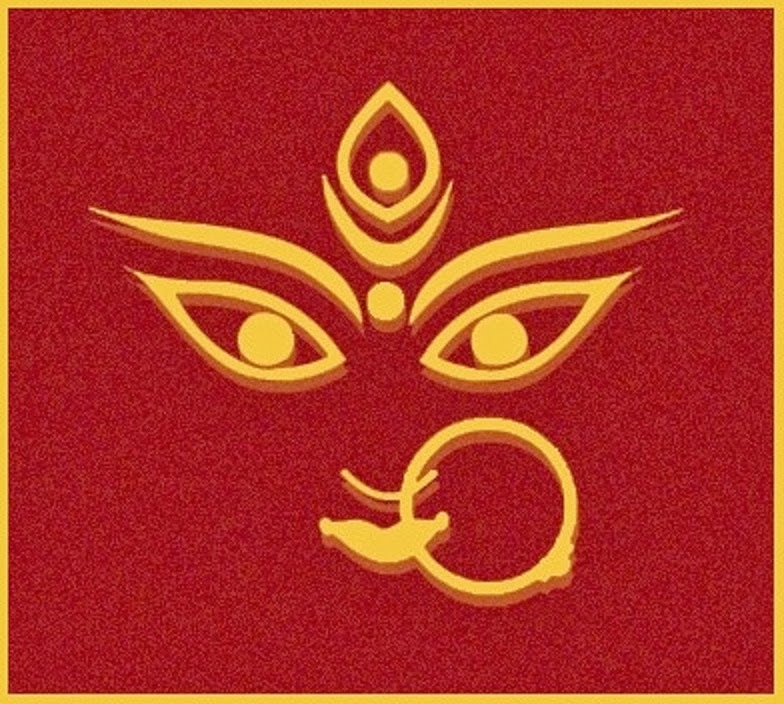 When the five elements governed by Lord Shiva (Panch Mahabhoota - Earth, Water, Fire, Air and Ether) united with Shakti (pure consciousness), Lord Kartikeya was born. 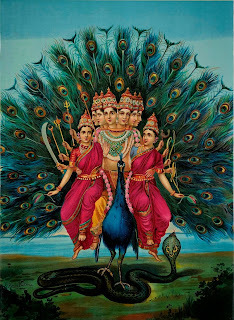 Shiva is called Panchaanana – Lord with five heads. These five heads represent the five elements in Nature. 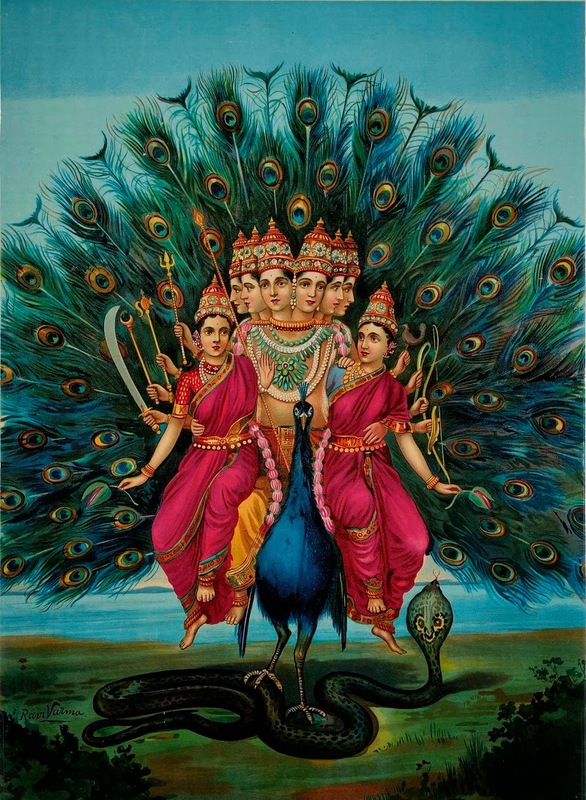 When these five elements united with the sixth: Chaitanya Shakti (pure consciousness), they gave birth to the Shadaanana (six headed), also called Lord Kartikeya. You can understand this in terms of the Kundalini Shakti. Heart is that organ in our body which purifies, pumps and circulates blood. Blood is known by the name Raktha in Smskrt. Raktha means nourishment, desire, red and blood. Blood is also called Lohini in Smskrt, for, it contains loha, iron. In the Greek language it is referred to as haem for iron. It is from the word “haem” that we get the word “haemoglobin”. The blood is continuously circulated in our body by our heart. The very word “heart” traces its etymological roots to the Smskrt word “hrdayam”. 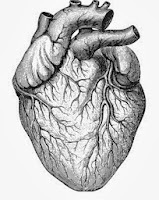 The word “hrdayam” is a technical word derived from the functionality of the heart. ‘Nava’ means ‘nine’ and ‘ratri’ is made up of ‘ra’ which also means ‘night’ and ‘tri’ meaning the three aspects of our life – body, mind and soul. There are three types of botherations or problems that may affect a person – physical, mental and spiritual. That which gives you relief from all these difficulties is ‘ratri’. ‘Ratri’ or night relieves you of misery and brings comfort. The night relaxes everybody; whether happy, unhappy or miserable, everybody goes to sleep. Navratri is a celebration of the spirit or prana which alone can destroy mahishasura (inertia), shumbha-nishumbha (pride and shame) and madhu-kaitabh (extreme forms of craving and aversion). They are completely opposites, yet complementary. Inertia, deeply ingrained negativities and obsessions (raktabeejasura), unreasonable logics (chanda-munda) and blurred vision (dhoomralochan) can be overcomed only by raising the level of prana and shakti, the life-force energy.